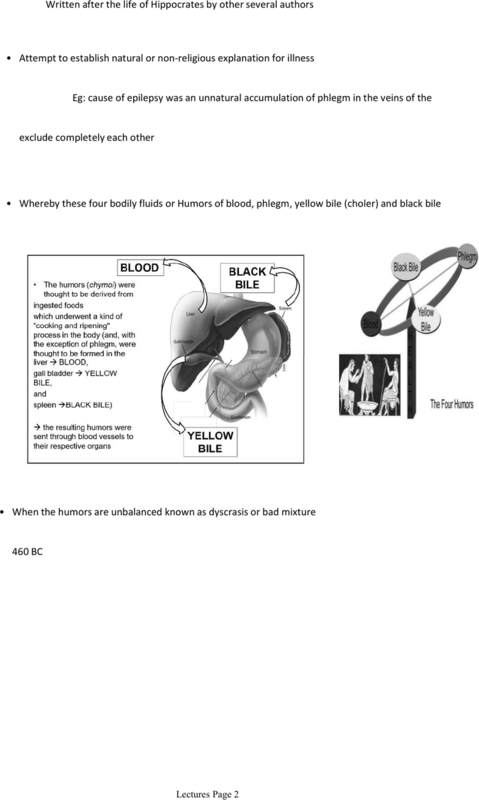 The influence of the cult of Asclepius1. Snakes/serpents were considered to be divine and wise beings, and were symbols of rejuvenation and healing. Also guarded sacred healing sites such as wells and springs. One of the main greek gods that was linked to healing was asclepius. Healers and those in need of healing invoked asclepius" name in prayer and healing ceremonies in temples and at home. Thought to be an actual historical figure as a person. Over time asclepius became deified and a religious cult build up around him and his followers. Inherited a knowledge and mystical power of healing from him. A religion in that treatment/healing in effect involved an act of worship and a system of therapeutics. Doctors would do rounds and administering cure or giving advice straight away. Management of wounds (often cleaned and sprinkled with plan extracts and wine) Surgical implements used for minor surgery (ulcers, tumours, haemorrhoids. 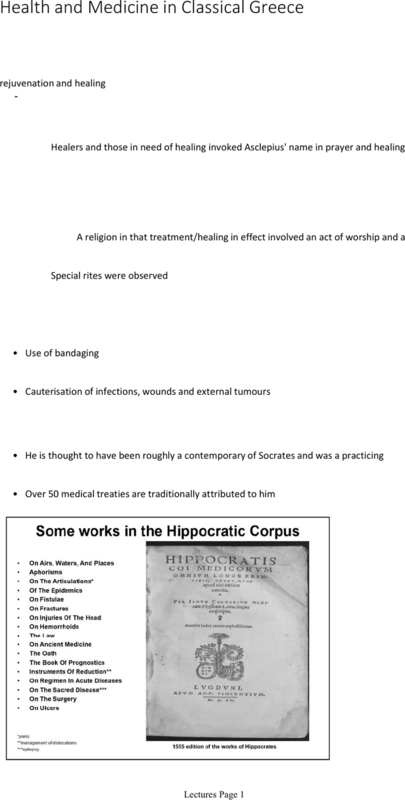 Hippocrates of cos (c. 460-c. 375 bce) is considered to be the "father of medicine"